Define Functional & Non-Functional Software Requirement in SDLC to develop a computerized System. SDLC serves as a guide to the project and provides a flexible and consistent medium to accommodate changes, and perform the project to meet the client’s objectives. 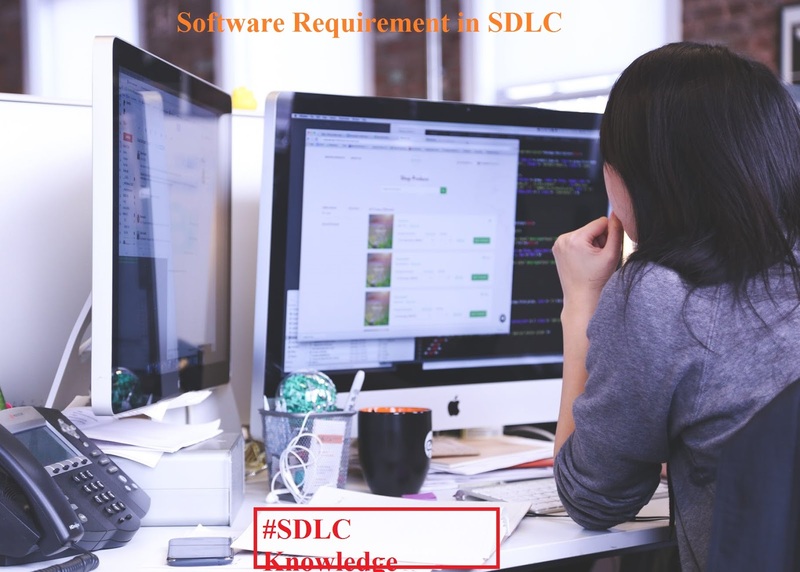 SDLC phases define the key schedule and delivery points which ensure timely and correct delivery of software to the client within budget and other constraints and project requirements. SDLC co-operates project control and management activities as they must be introduced within each phase of SDLC. SDLC makes it easy for programmers to work concurrently o each phase. It provides a rough time estimate that when the software will be available for the user. It delivers quality software which meets or exceeds customer expectations. SDLC helps the project manager to establish a project management structure. SDLC clearly defines and assigns the roles and responsibilities of all the involved peoples. SDLC serves as a guide to the project and provides a flexible and consistent medium to accommodate changes, and perform the project to meet the client’s objectives. The process of gathering the software requirements from the client, analyze and document them is known as Requirement engineering. The goal of requirement engineering is to develop and maintain a document that defines the functionality of the developed system in all aspect. The Requirement Engineering & Requirement Collecting phase actually defines all the components of software. In this phase the question “How the developed software looks like and what function it will do?” is answered. Software requirement refers to the needs of stakeholders that are to be solved by software. Software requirements mean all those qualities and functions which a customer need in the newly developed software. Software requirement describes all the functions of the software. Without knowing software requirement, a quality software cannot be developed. Broadly software requirement is categorized into two categories. The official definition of a functional requirement is that it essentially specifies something the system should do. Requirements, which are related to a functional aspect of software fall into this category. They define functions and functionality within and from the software system. The search option is given to a user to search from various invoices. A user should be able to mail any report to management. Should comply with business rules and administrative functions. The software is developed keeping downward compatibility intact. The definition for a non-functional requirement is that it essentially specifies how the system should work. Requirements, which are not related to a functional aspect of software, fall into this category. Non-functional requirements are implicit or expected characteristics of software and Non-Functional Requirement include following terms to be pointed, they are Security, Logging, Storage, Configuration, Performance, Cost Interoperability, Accessibility.